Can you put together a plastic model Gundam and paint it perfectly within a 3 hour time frame? If you can then you might be ready for a job at the dental implant maker, Bitec Global. From October Bitec Global are asking new recruits to assemble plastic models as part of the interview process. 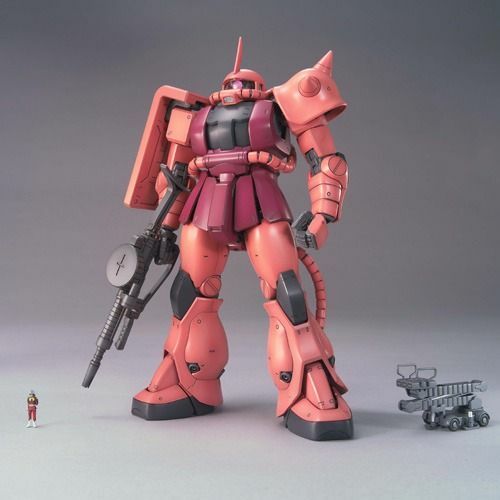 The model expected to be used is the Gundam MG MS-06S Char’s Zaku II by Bandai. Now you have to build a gundam for a Job. I guess it goes with the job territory, seeing what the profession is. To see if you can build dental implants as well as Gundams, ohh boy, can’t wait to see how popular this works out. ^_^. LOL, I can just see that dog truck in its own tv anime show. Wow. I’ve been meaning to start with Gundam models. Are these things really that hard to build? People have been telling me I should start with the small ones before I try the bigger ones, and if the Master Grades are that hard, maybe I oughta listen to them.
. . . must have patience and a steady hand . . . I’m going to build one of these fellows, three hours, neh?